The memorial to the Canadian troops who departed for the D Day beaches from the four embarkation hards at Stokes Bay can be seen on the promenade close to the Bistro cafe. 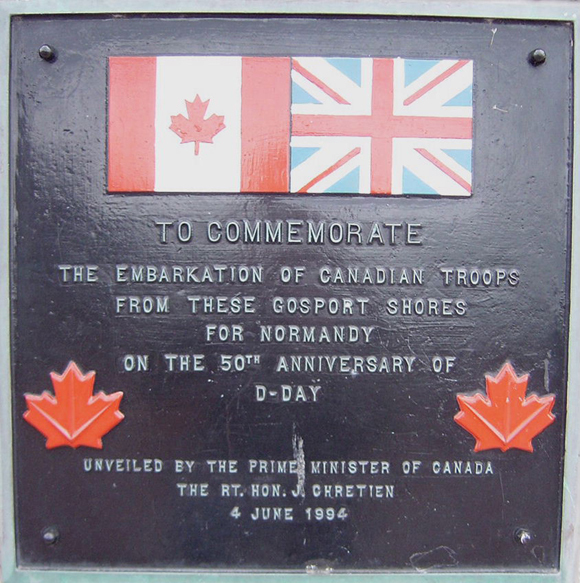 Approximately 14,000 Canadians landed in Normandy on D-Day 6th June 1944. 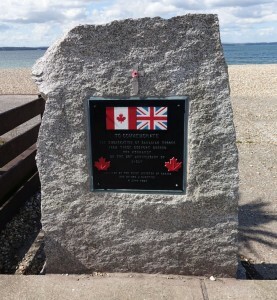 The Canadian assault force suffered 1,074 casualties, 946 were killed. 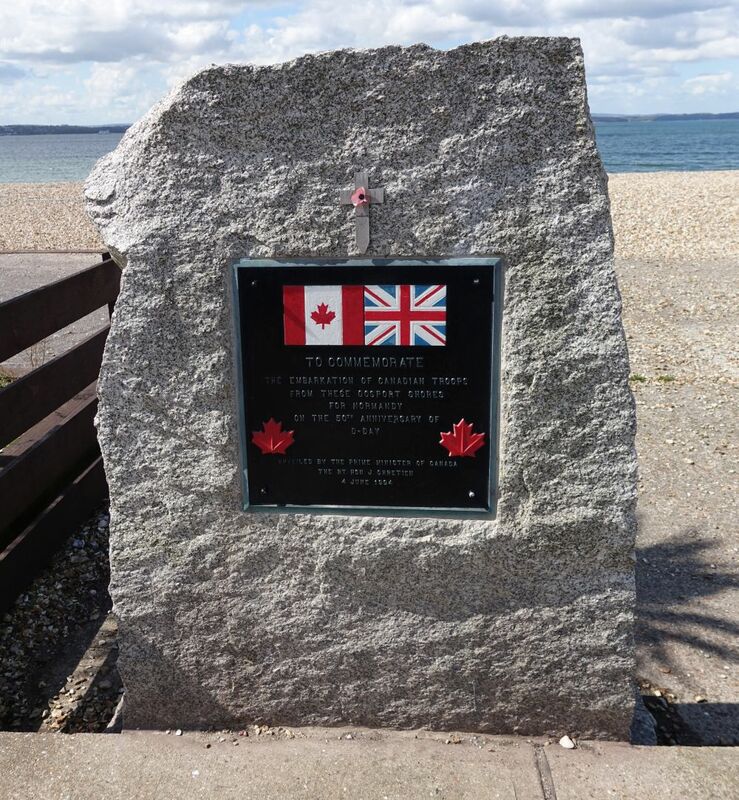 The 3rd Canadian Infantry Division left from Stokes Bay, their destination was Juno Bay. 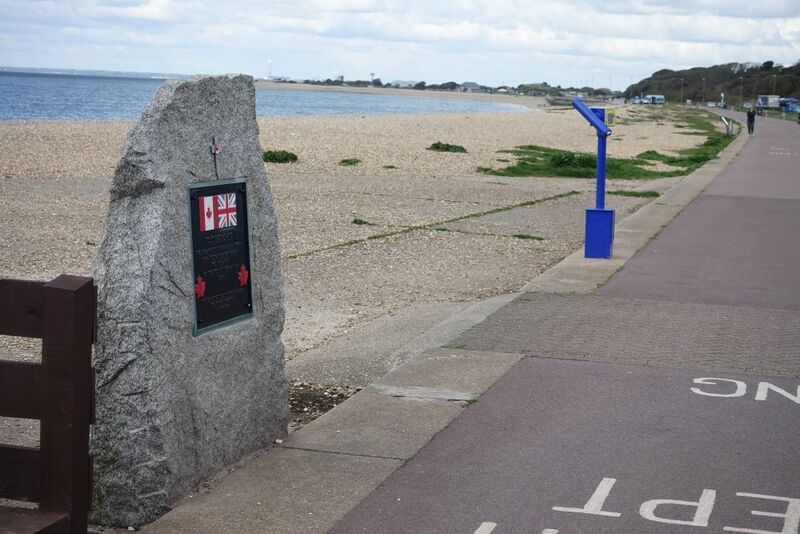 The North Nova Scotia Highlanders embarked from Stokes Bay hard G1.